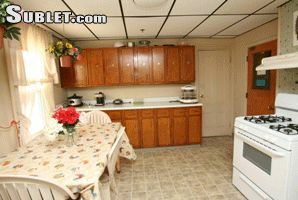 The rent goes from $226.00 plus tax and up depending upon your length of stay and room availability! We will do a $100.00 Authorization hold on Visa or Master card to reserve a room. A credit check for $22.00 non-refundable cash may apply and when you are approved we will need a $500.00 security deposit and the first weeks rent. Our cancellation policy is a 7 day notice by 10am or there will be a charge $100.00 fee! We are on the Red line subway in Quincy Center and it?s only a 5-7 minute walk to the T and 10-15 minutes drive to Boston. We have Semi-private rooms with the bath attached or rooms with a community bathroom. We offer free Wifi, cable available to order through comcast and maid service! Nightly rates are $96 - $118.00 2 Night minimum & A $500.00 Security deposit is required for all rooms. We have professors and grad students from M.I.T, Harvard, BU and surrounding schools who need a quiet place to study while they get their education. We also have permanent guests who are visiting and traveling. 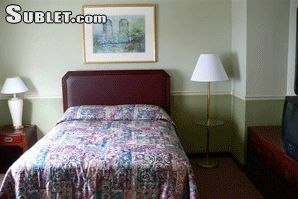 If you need temporary or permanent lodging we are the place to stay in the Boston area. If you need a referral please contact Quincy Chamber of Commerce 617-471-7100 they will gladly get back to you and answer any questions you may have regarding our accommodations.